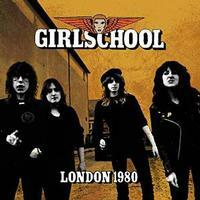 I’ve always liked Girlschool’s raw brand of hard rocking metal. This live set captures a great show of theirs. The sound quality is good, and the band we’re firing on all cylinders. If you like Girlschool, check this one out. You won’t be disappointed. Stripped back rock and roll merges with glam and old school metal on this stomper. It’s high energy and rather catchy. Here they bring the Girlschool treatment to this ZZ Top classic. It’s part punk, part metal and all cool. This screamer is meatier and actually catchier than anything to this point. It’s one of the better tunes here, really. Some screaming hot metal sounds are heard on this thing. It’s definitely one of the more hard edged pieces here. It’s one of the most effective, too. It’s trademark Girlschool, as well. This is definitely one of my favorites of the set. There is a lot of old school rock and roll built into this beast. Yet, it’s also a little punky and definitely metal. It’s catchy, too. It’s just a killer rocker. What this one lacks in lyrics, it gains in power and cool. 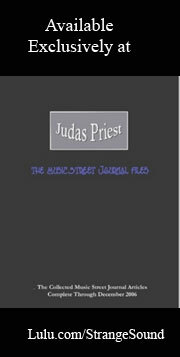 It’s very much an example of NWOBHM. It’s also another highlight of the set. With a very singable chorus, this is also one of the more complex pieces here. It’s another fine example of NWOBHM done the Girlschool way. I love the guitar presence here. This is another screaming hot metal stomper. It’s just so cool. It’s one of the best here. A song Motorhead has performed, here it’s done by the group who originated it. It’s a screamer that I just love.